Wild Eye Releasing has opened the toy chest and brought Daniel Ray's HEIDI to DVD and Digital HD to punish all the bad children. Available nationwide on 11th April 2017, Daniel Ray's first feature took home five awards at the Pollygrind Film Festival of Las Vegas, including Audience Choice for Best Feature Film. HEIDI stars Samuel Brian, Joei Fulco, Joey Bell, Eva Falana, Elizabeth Callahan and Michael Monteiro. 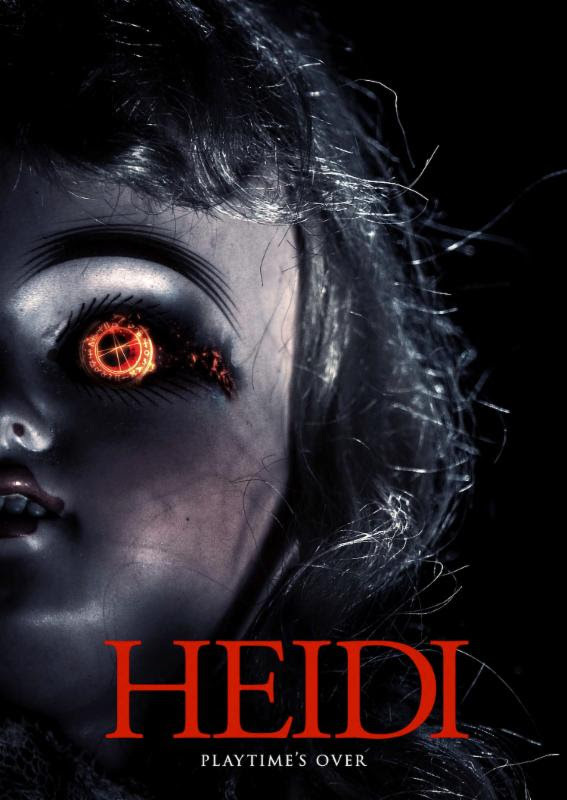 After investigating a neighbor's attic, two high school pranksters are increasingly plagued by a series of disturbing, supernatural events involving a creepy, vintage doll named Heidi. As she stalks them day and night, no one will take their claims seriously until it is too late.